Workshop open for ages 12 to adult. 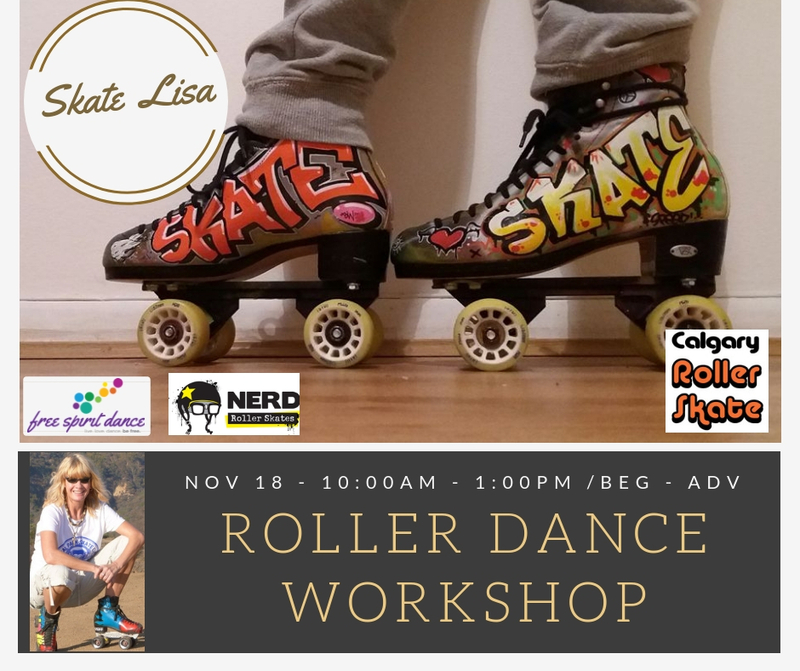 Roller Dance Intermediate / Advanced 11:30 a.m. – 1:00 p.m. Fine tune your balance while learning some of Lisa’s signature moves. Her unique teaching style focuses on core posture, building skill to take all your moves to the next level. Lisa is known for her smooth style, control and moves for days. Lisa started skating at the age of 10 when her parents bought a pair of strap-on metal skates for her birthday. She would skate around the streets for hours in her hometown of London. At age 13 she started artistic skating but left it for freestyle skate when Disco hit the scene because of the freedom it allowed her in her skates and expression. As disco faded she would skate at the local sport center watching and admiring the older skaters and wanting to skate like them. In her early 20s she became the manager of the first and only ever purpose-built roller rink in north London. This is where she met more amazing skaters and her craft grew. After the rink closed in 1996 she skated in parks and streets around London. It was then that she began to learn to dance on skates from a Jamaican friend who is her guru to this day. She has skated all over Europe and in 1998 she went to Venice Beach, California, and has never looked back since. Since Venice Beach she has been teaching and skating all over the world. She is a freestyler known for her unique style. She loves meeting skaters and sharing her love of roller skating. When she teaches and when she skates, her number one aim is FUN!